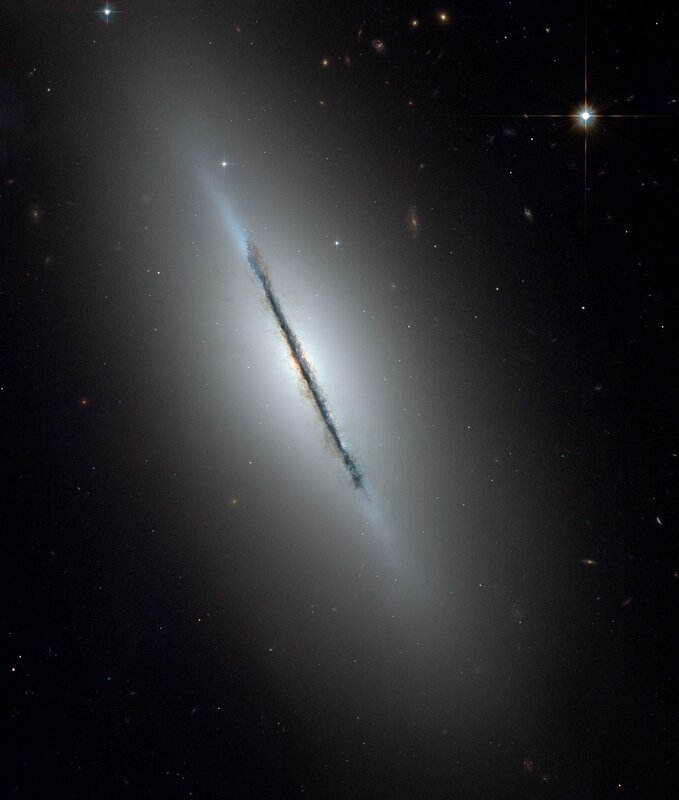 This is a unique NASA/ESA Hubble Space Telescope view of the disk galaxy NGC 5866 tilted nearly edge-on to our line-of-sight. 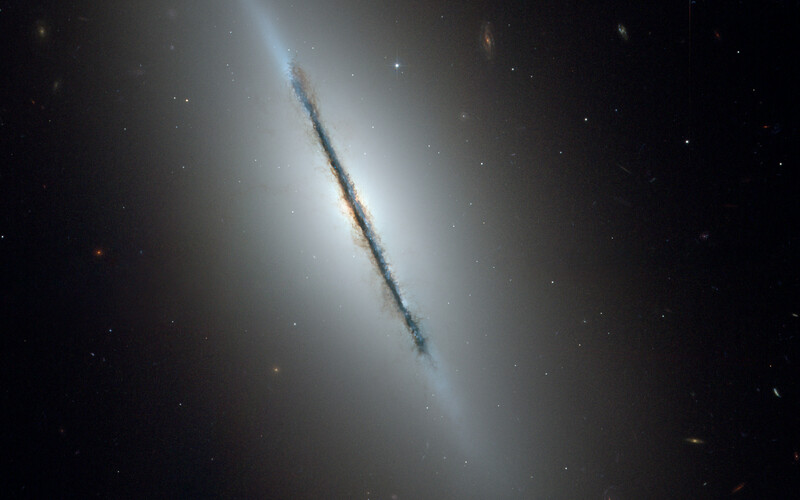 Hubble's sharp vision reveals a crisp dust lane dividing the galaxy into two halves. 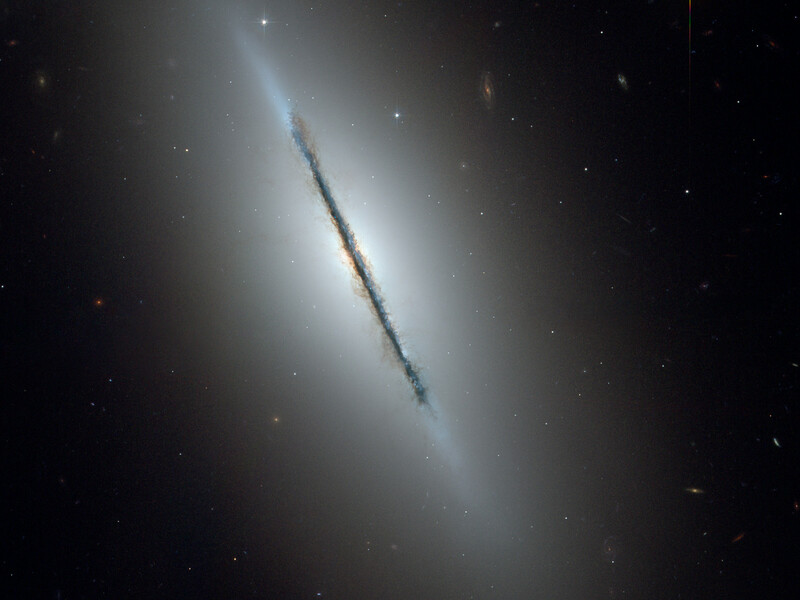 The image highlights the galaxy's structure: a subtle, reddish bulge surrounding a bright nucleus, a blue disk of stars running parallel to the dust lane, and a transparent outer halo. Some faint, wispy trails of dust can be seen meandering away from the disk of the galaxy out into the bulge and inner halo of the galaxy. The outer halo is dotted with numerous gravitationally bound clusters of nearly a million stars each, known as globular clusters. Background galaxies that are millions to billions of light-years farther away than NGC 5866 are also seen through the halo. Position (Dec): 55° 45' 36.69"